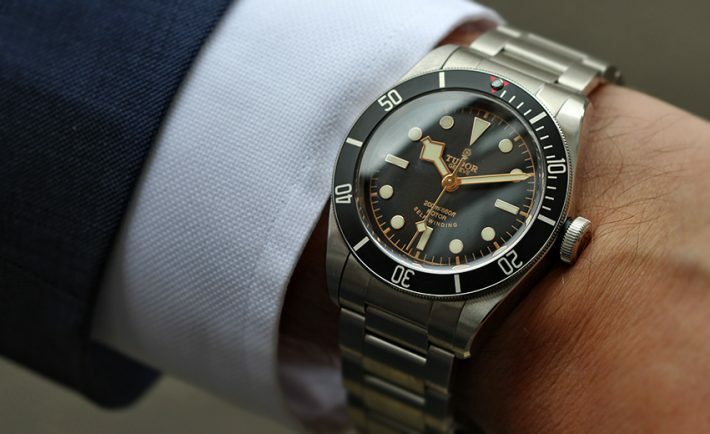 Let’s take a detailed look at this watch that finally broke in 2016 and since then has not stopped covering covers and be the object of desire of thousands of people: the Tudor Heritage Black Bay. As a first data, to say that it was originally launched in 2012, but it was not until 2016 that its reputation increased considerably due to the update of the model that was carried out and it began to be commercialized in that year. Before entering fully into the description of the model, let us first answer this question: who is behind Tudor? Cool, risky and fashionable. Tudor has always chosen ambassadors for his prestigious watches, but also with an unmistakable charisma. Lady Gaga and David Beckham have immense talent, they work hard and are tremendously professional. 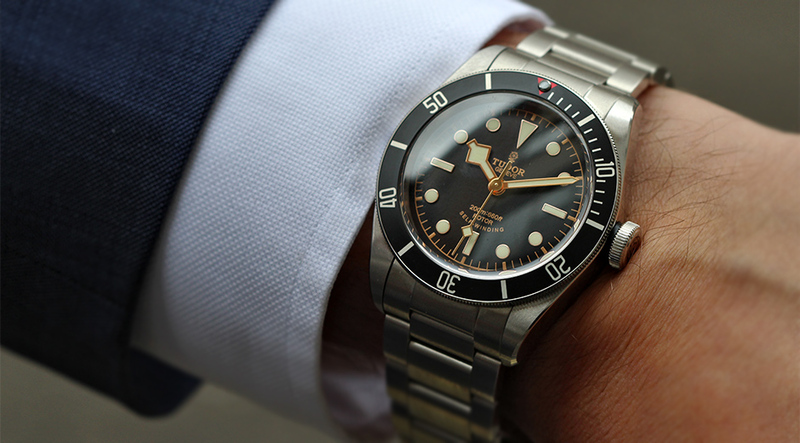 Tudor is the ideal brand for those looking for something that is up to date (at least up to a certain point). 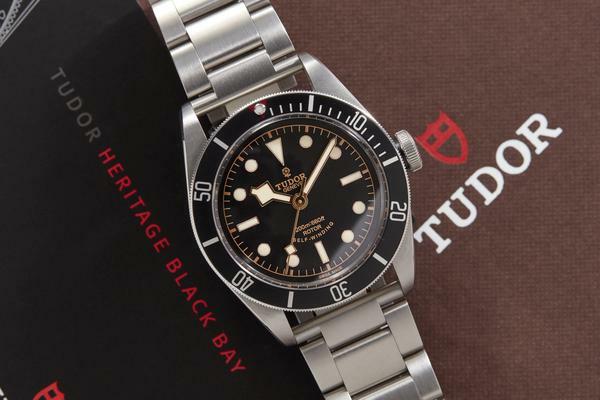 We are facing a really popular model; The Tudor Heritage Black Bay is a watch that thousands of people crave. Robust, solid and elegant. The aesthetic is inspired by the first Tudor diving watches, highlighting above all the snowflake-type hands based on those that frequently incorporated the models that were used in the French National Navy during the 1970s. True to his word, they never forget the classics. A sizeable black dial with snowflake-like hands and an immense crown. A blunt clock that could last for centuries and that, moreover, is very easy to handle and carry. One of the most notable additions to the 2016 update was that of its chain. Today you can choose between a steel bracelet or a more common strap. Depending on why you choose, you can give a completely different look to the watch. And this is something that Tudor likes to push. They are obsessed with originality, so that each watch can adapt to each user in a unique way. The only problem is that it is difficult to go from chain to common belt without using certain specialized tools. Therefore, you must take into account that to complete this process it is practically compulsory to go to a Rolex or Tudor house. As we have said before, the Tudor Heritage Black Bay was launched in 2012. On that occasion it was offered with a mechanism that was not made by the company itself. The new 2016 model introduced a change in this respect, giving it a brand movement of the house. So if you are looking for a Tudor Heritage after 2016, you should know that it will have its own mechanism and not developed by third parties. The movement itself is an MT5602 (4hz, 28,000 vph). It is automatic and has the COSC certificate. In addition, its bidirectional system offers 70 hours of energy reserve. On the other hand, it also holds a certificate as a chronometer and a spiral of antimagnetic silicon. When a watch obtains this type of certificate, it means that its precision is maximum. Therefore, you can rely on the Tudor Heritage Black Bay even in extreme conditions such as when you dive.